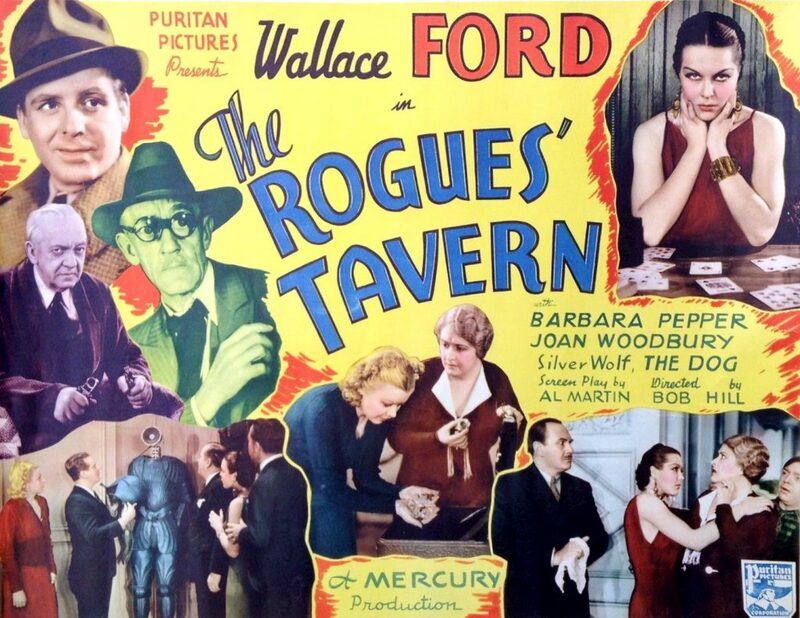 The Rogues’ Tavern is a 1936 American murder mystery film directed by Robert F. Hill and starring Wallace Ford, Barbara Pepper, and Joan Woodbury. It is a bleak and windy night when Jimmy Kelly (Wallace Ford) and Marjorie Burns (Barbara Pepper) check into the Red Rock Tavern with plans to marry as soon as possible. Everyone in the tavern is shocked when a wild dog breaks in through an open window, attacks and kills two of the guests. When they discover that the dog is not the real killer all of the guests begin to panic and suddenly find themselves trapped inside the tavern by locked doors and barred windows. Everyone frantically tries to determine who among them is the killer before another one of them is murdered.